What makes San Pedro Smiles different from the thousands of other dental practices you’ll find on the internet? It all comes down to a personal touch. We make the extra effort to take care of you beyond your smile so that more than just your teeth end up feeling great whenever you come to see us. 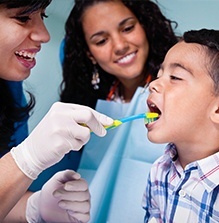 Dr. Gonzalez and our team combine comprehensive, state-of-the-art dentistry with family-friendly service to give you a dental experience that will always leave a bright, healthy smile on your face. Do you or someone in your family feel more comfortable speaking Spanish? No problem, because our entire team, including Dr. Gonzalez, is fully bilingual. We can easily conduct a patient’s dental appointment in their preferred language so they can always feel comfortable and informed. We make it a point to get to know all of our patients by name. When you walk in, you won’t get just some generic greeting that would apply to anyone. 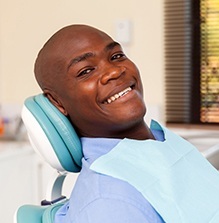 Rather, we’ll learn all we can about you from the start so we can better personalize your care and provide a better, more unique dental experience. Does going to the dentist make you feel a bit nervous? If so, you’re far from alone, which is why we work so hard to create a calm, cool, and laid-back environment in our office. Dr. Gonzalez has even been known to take out his guitar and serenade our patients who need a little bit of extra help! 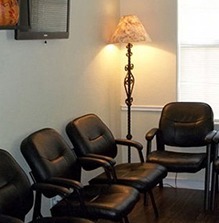 In the end, we hope to change the way you think about visiting the dentist. We love welcoming entire families here at San Pedro Smiles! We’re happy to see patients of all ages, so whether they’re young or just young at heart, they’re always welcome through our doors. 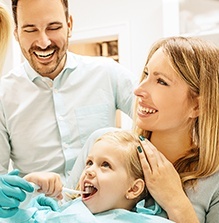 We have all the special services needed to successfully treat both children and adults, so whether you’re looking for a dentist for your child or yourself, you’ll only have to go one place to take care of everyone. We believe that excellent dental care should also come at an excellent value, which is why we offer our patients numerous ways to save at every appointment. We accept all PPO insurance plans, Medicaid, CHIP, offer flexible financing, and we’re even one of the few practices that accept Workers Comp!